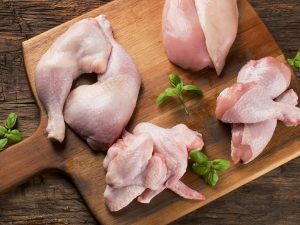 The salmonella outbreak is one of the biggest concerns of the poultry industry. Even after strict regulatory and checks, we keep on hearing about the episodes of Salmonella poisoning. Read on to know how to control getting affected by handling the eggs perfectly. 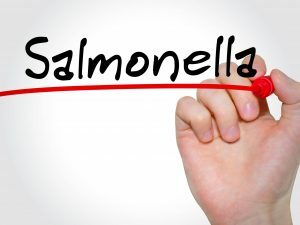 Every now and then we hear news about salmonella outbreaks. In fact, until last month we have seen a large number of eggs being recalled for the fear of yet another episode of the salmonella outbreak. Perhaps, it is one thing that we all should be watchful about and knowing ways to control and prevent it is the biggest way to save ourselves from getting contaminated. In the same context, it is very important for us to be able to distinguish if the eggs that we have bought are affected by the recent outbreak that happened in the middle of April 2018. It was traced that the affected eggs during this outbreak were from a farm in North Carolina and have been recalled by the producer. 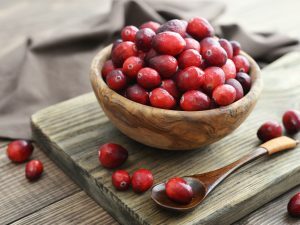 It was found that these culprit eggs have been on the shelf of stores and restaurants in New Jersey, South Carolina, North Carolina, Colorado, New York, Florida, Pennsylvania, West Virginia, and Virginia. 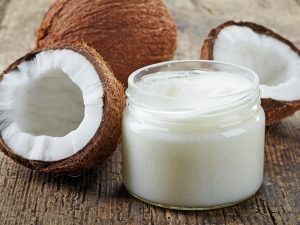 As per the reports, these affected eggs were being sold under many brand names such as Crystal Farms, Coburn Farms, Glenview, Country Daybreak, Sunshine Farms, Great Value, and the highly popular Food Lion and Walmart stores. These eggs were packed in cartons that were labeled with the Julian date range of 011 to 102, and plant number P-1065 on either side of the packaging material. 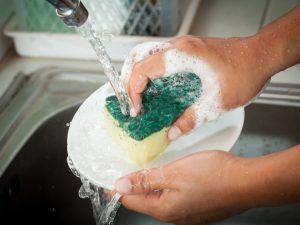 Anyhow, it is vital for us to be aware of ways to prevent getting affected by this harmful bacteria in the first place. Not many are aware that this bacteria may be present inside of the affected eggs and consuming the affected eggs raw or undercooked may put us at high risk of getting contaminated by Salmonella. 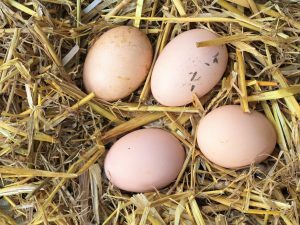 In fact, as the poultry droppings may affect the outer shell of eggs, it is important that we handle these shells carefully as well. The Centers for Disease Control and Prevention recommends that we must always be mindful of the following. Never use dirty and cracked eggs. Must buy pasteurized egg and egg product. Cook the eggs thoroughly and not consume runny eggs. Ideally, eggs should be cooked until the white and yolk both are firm or reaches an internal temperature of 160 degrees F or more. Do not consume eggs or foods containing egg that has been sitting unrefrigerated for two hours or more. 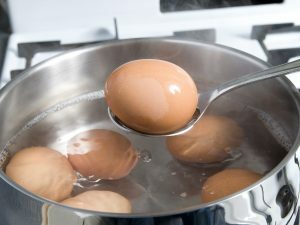 Clean anything that comes in contact with the uncooked egg, which includes hands, cutting board and countertop to avoid getting food poisoning.